Help, my Macbook has insomnia! I suppose this is a bad blog post to follow the last one where I promised to do more serious school blogging, but I thought maybe the two people who read this might have some helpful suggestions. A few weeks back, my macbook suddenly failed to fall asleep. Well, not completely. It still falls asleep when I close it but, as I have to keep it open overnight for my morning alarm to work, it's been causing me grief. I manually put it to sleep but as soon as the fans slow down completely, it just wakes itself up again. At first, I thought it was because I put the computer down on the floor roughly and somehow cajoled it back to power, but even when I put it down as gingerly as possible, it wakes up. Sometimes, it manages to stay asleep for a couple minutes--and then I hear it whirling again. I've grown to sleep in constant fear that I will wake up in the middle of the night to the room illuminated by it's blueish radiance. While this has been an effective (and unsettling) dry run of how parenting will be like one day, I'm afraid something's seriously wrong with it. It stays extremely hot all night; the fans run at full blast. I've tried changing the settings on my system preferences but that doesn't seem to work either. So if anyone has any sort of technical sleeping pills for my macbook, I will be forever grateful. On a side note, the first week of school has been daunting to say the least; the terms, "multi-headed fascistic regime" and "an hour glass, running out of grains of happiness" were used way too many times for my liking. You might have something that's running in the background. I used to work at Apple and could go through it with you, but then it would be let's try this, let's try that; too much to deal with. Honestly, I would take it in because there's so many things it could be. Make sure you back up everything you need. Good luck. Do you have any bluetooth devices connected to your MB? Those could be waking it up. I'd also unplug any USB devices. also remember that if you close your macbook then unplug something from the usb port, it will wake up - unplug usb devices before putting your machine to sleep. Thanks for all the online technical support! 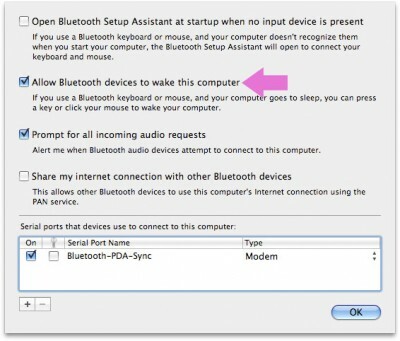 As for any bluetooth device, I have none (well, NOW I do since my keyboard stopped working after the tea incident, but I turn that off before I put the computer to sleep). I've even tried turning off my AirPort out of desperation, but still no luck. My PRAM was clumsily reset as well. I think the tech gods just hate me. I must have been a computer hitler in a past life. It is linked to someone else's device? I got an error while we can use my Apple Mac-book and try to install iTunes app in my iOS device and I am unable to install them.For the solution of iTunes install Error you can visit the link that help you to solve your all issue. "I woke up in the Hudson River in a SACK!" Rule #32: Make everything Green. What? Did I just get a weekend off? "So then this MONKEY comes out of nowhere and bites me in the leg!"